Pair your ultra high definition TV with a DISH 4K DVR for crystal-clear TV series, movies, documentaries and sports. 4K, also referred to as ultra high definition (or UHD), packs four times the pixels into your screen as 1080p HD. At 3840 x 2160 pixels, or a total of 8.2 million pixels, DISH 4K brings brighter colors, crisper video and smoother movement across your screen. 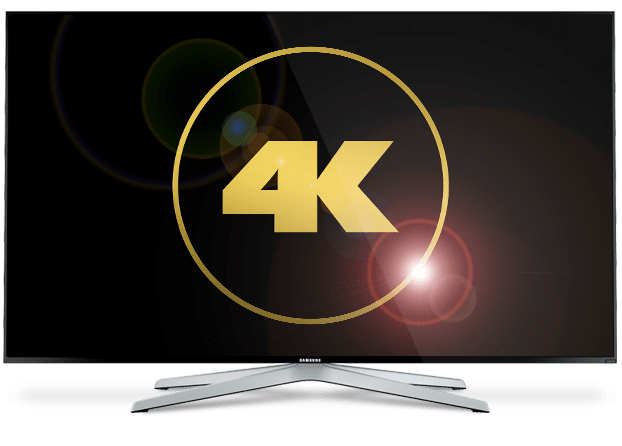 Watch DISH Network 4k programming with any TV package! 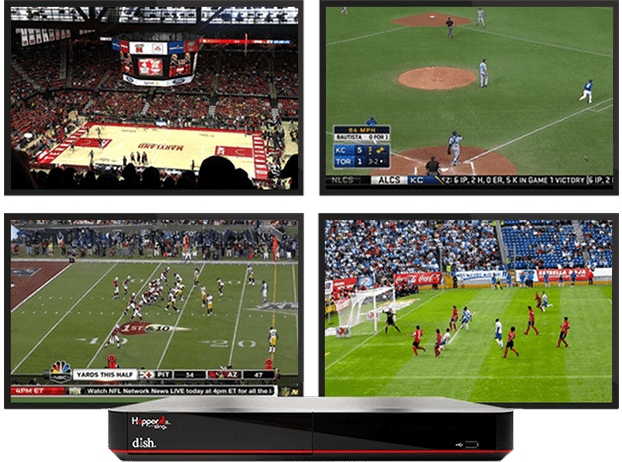 With your 4K TV and DISH Hopper 3 HD DVR, your DISH Network subscription lets you enjoy ultra high definition video. 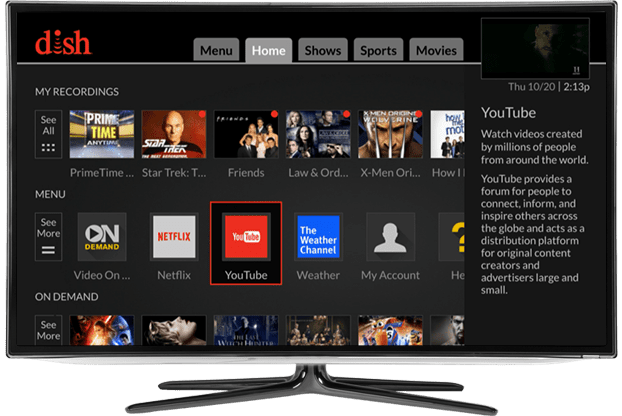 Add a DISH 4K Joey to your whole home entertainment system and any 4K TV in your home can access DISH’s library of On Demand and live 4K content! 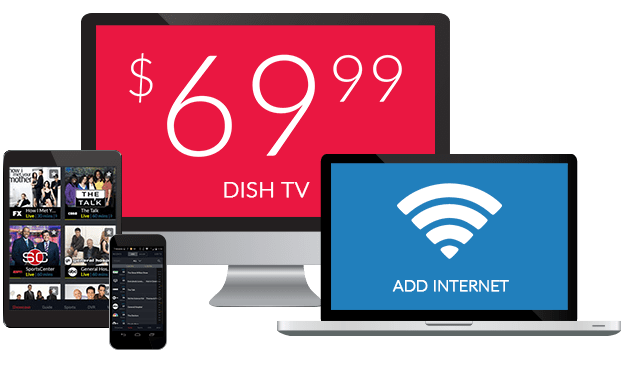 Get free HD for life with DISH as your TV provider! Over 200 HD channels are available, including sports, movies, TV shows and televised events. These channels look great on your 4K TV, and your TV may be able to up-convert HD channels into spectacular 4K. You can also watch more than 600 hours of programming in 4K, with movies, series and live events with DISH. Your 4K TV deserves a great selection of visually stunning programming. 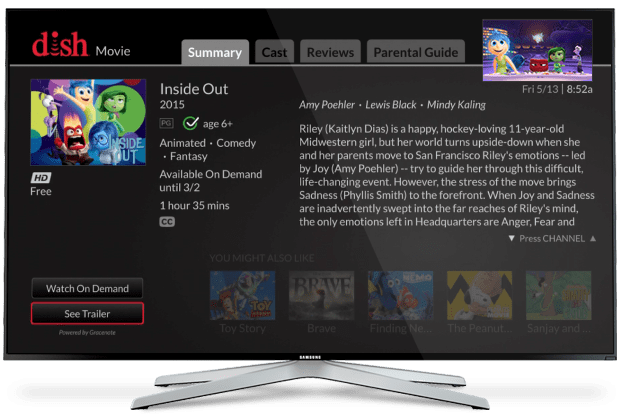 For DISH Network 4K programming, choose On Demand and Pay-Per-View movies from Sony Pictures, The Orchard and Mance Media. Special live events are also available in 4K with DISH. Your Hopper 3 HD DVR with built in YouTube and Netflix lets you watch 4K TV shows, videos, movies, documentaries and more. You can also watch 4K Netflix in any room with a 4K Joey! 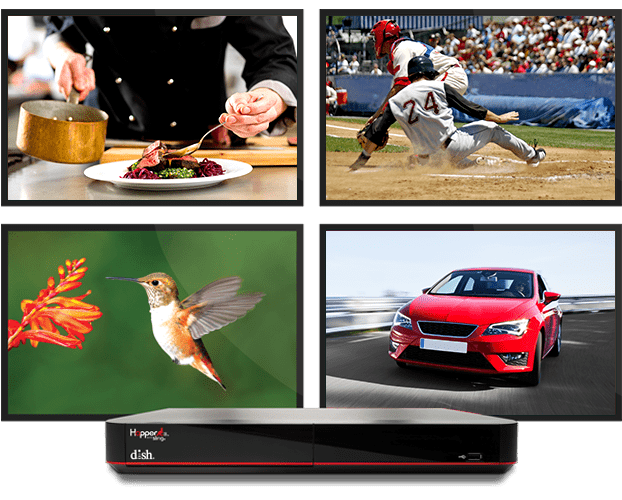 Upgrade your TV experience with Hopper 3 HD DVR for all the best DISH 4K features, including Multiview mode. This feature lets you watch four channels at once, so you can keep up with multiple games, or stay on top of both local and national news. With a 4K TV, your four chosen channels are side by side in crystal-clear HD. Does DISH Have Any 4K Channels? 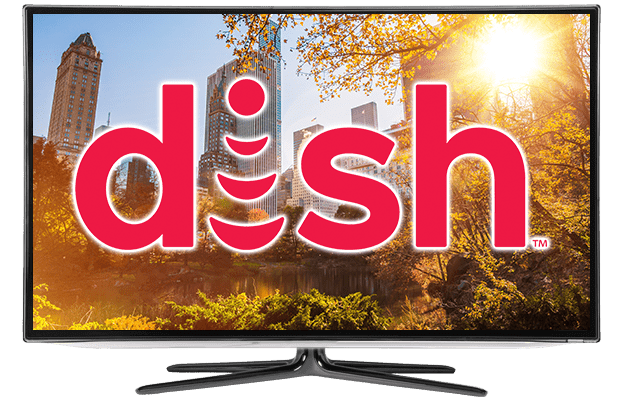 Currently, DISH offers 4K programming On Demand and through Pay-Per-View. Watch movies, TV series and live events with DISH. With your Hopper 3 HD DVR, you can also access 4K video on Netflix and YouTube apps for even more UHD entertainment. When Will 4K Content be Broadcast? TV series, movies and live sports are all part of DISH’s 4K lineup. Ultra high definition entertainment is constantly expanding. In the next 10 years, Northern Sky Research estimates there will be 785+ 4K channels available worldwide. How Do I Get 4K on Netflix? Log in to your Netflix Premium account right on your Hopper 3. Using integrated search, you’ll find 4K movies, series and documentaries. Enjoy shows like House of Cards and Breaking Bad, plus movies like Daredevil, all in 4K!